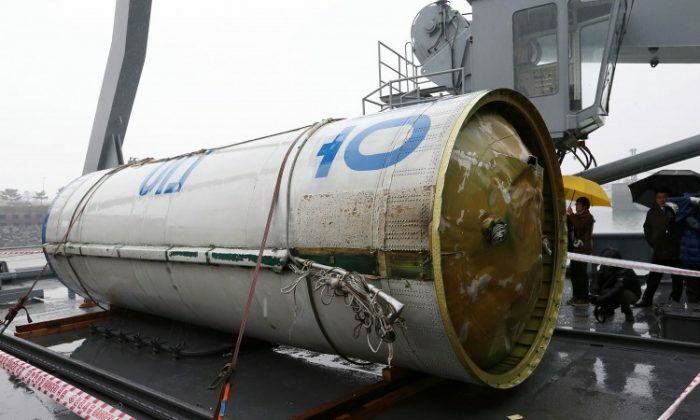 A South Korean military official said that some of the parts used in North Korea’s successful rocket launch last month appear to have been made in China. A United Nations Security Council resolution stipulates member countries cannot export missile parts to the isolated communist regime of North Korea. 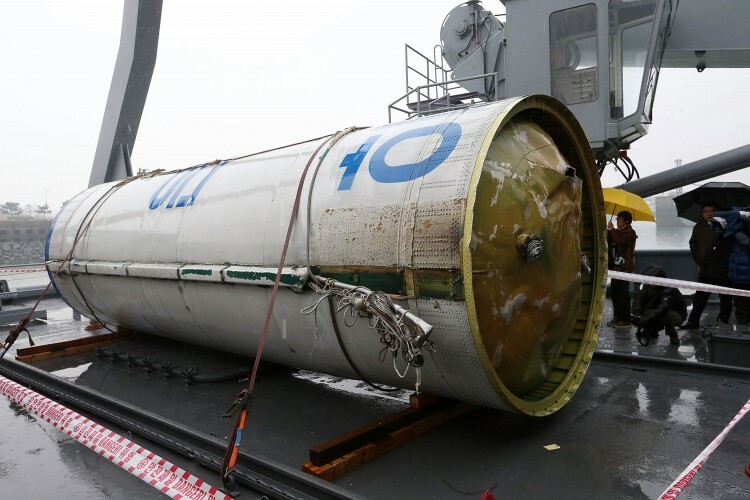 The military of South Korea has analyzed the debris, which includes a fuel tank, from the rocket launch that fell into the Yellow Sea, a source told Japanese broadcaster NHK. The official did not specify which part came from China, but said there was Chinese writing on it. The official said that parts appear to have come from four other countries, but did not elaborate. The South Korea-based Yonhap News Agency said that “some European nations” produced the other components. But it appears that the components do not violate the Missile Technology Control Regime, which was adopted by 34 nations in 1987 to prevent the proliferation of missile and drone technology, because they are non-core parts, the agency reported. The South Korean defense ministry believes that the North has made a relative advance in its missile technologies after examining the debris, reported Yonhap. It has placed the range of the rocket at around 6,000 miles—on par with a number of other intercontinental ballistic missiles. “Most of core components used in the long-range missile were manufactured by North Korea itself,” a high-level official with the defense ministry’s Defense Intelligence Agency told Yonhap. The revelation comes as the UN Security Council is set to pass another resolution stipulating tougher sanctinos against North Korea after the rocket launch, Yonhap reported, citing a source with knowledge of the debate. Pyongyang has insisted that its rocket launch was for peaceful, not military, purposes in order to send a satellite into outer space. The earth-observation satellite that went into orbit appeared to be non-functional, according to astronomers. In late December, however, South Korean officials told The New York Times that they found evidence that suggests North Korea’s launch was without peaceful intent. They said that the rocket could put the west coast of the United States in range and could carry a warhead weighing between 1,100 to 1,300 pounds. “They efficiently developed a three-stage long-range missile by using their existing Rodong and Scud missile technology,” a senior South Korea military intelligence official told the paper last month. The official said that Pyongyang used red fuming nitric acid as an oxidizer—the same used in old Soviet Union-built Scud missiles.